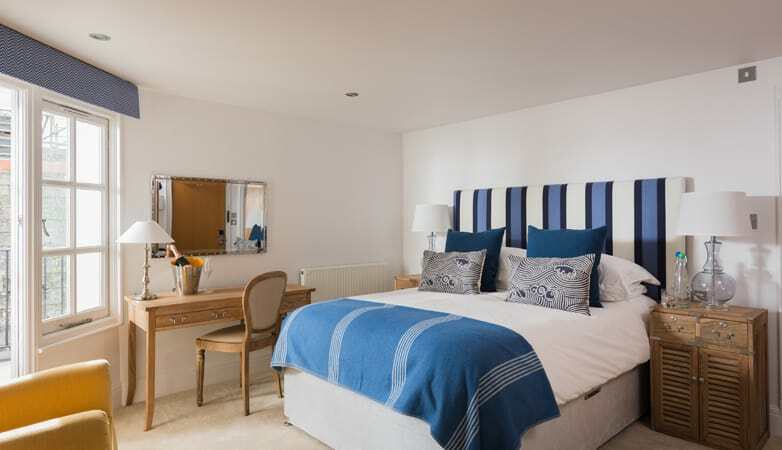 Set over three floors, the 13 rooms at The Old Quay House all offer big comfy beds so you can be sure of a good night’s sleep after all that good food and sea air. 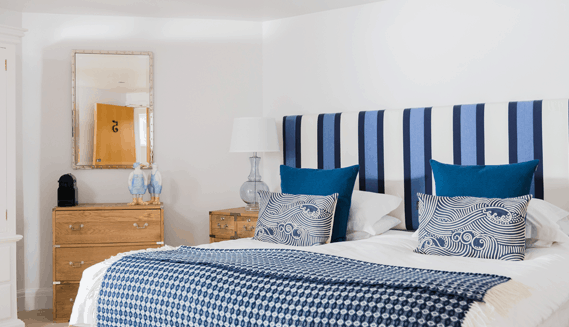 Each room has its own style, with cool, calm decor and individually chosen furnishings. 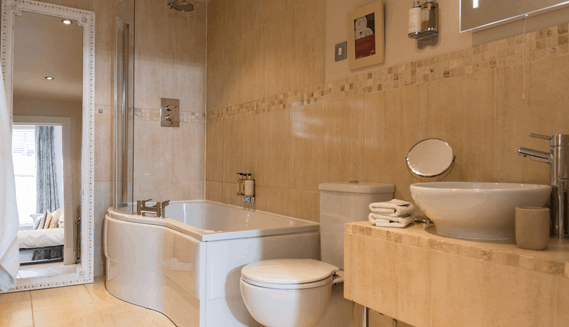 In each one you’ll find: Free WiFi access, TV and DVD, telephone, tea & coffee making facilities, complimentary still and sparkling water, bathrobes and hair dryer, as well as umbrellas and rain macs… because the one thing we can’t always fix is the British weather! 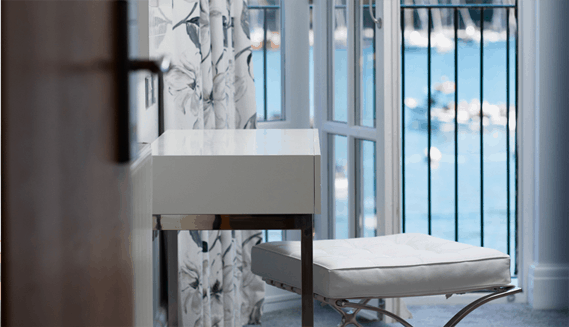 All reservations are inclusive of complimentary parking. 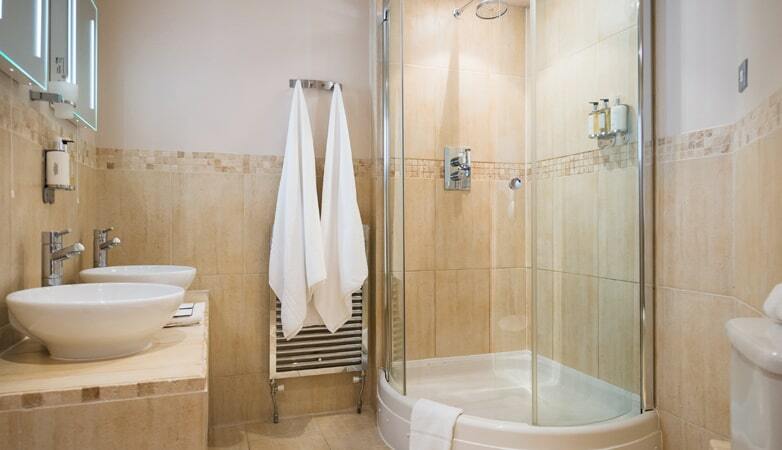 The stylish bathrooms also all have proper power showers and luxury toiletries from The White Company. 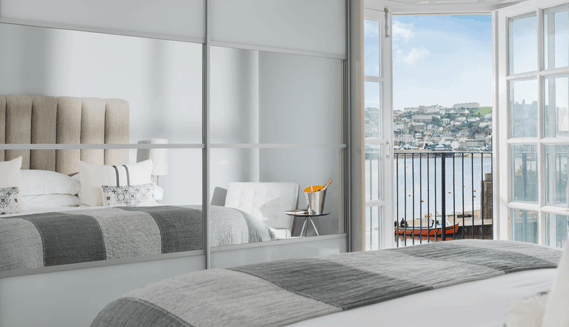 Several of the rooms have small balconies and most look out over the estuary so you can even lie in bed and sip your first coffee of the day watching the boats drift by. 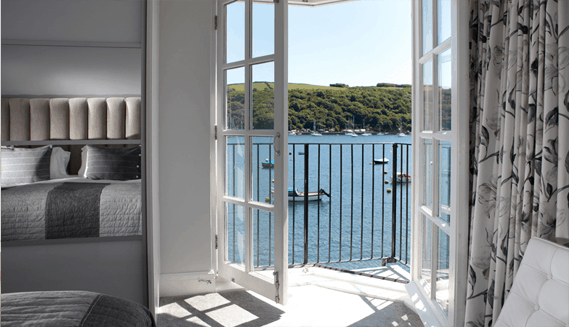 You’ll also be able to look across to the village of Polruan, on the opposite side of the river. 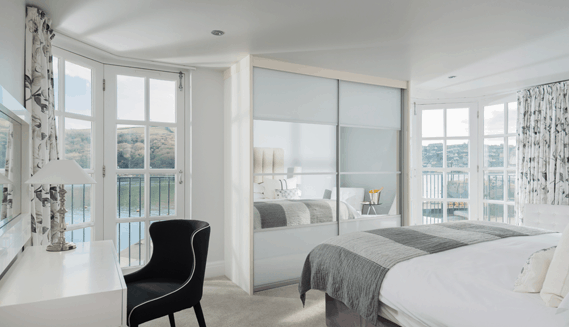 This Suite has beautiful Estuary views with a separate lounge and bedroom. 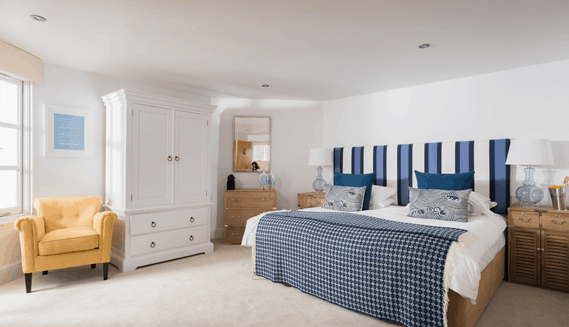 The Bedroom has a King-Size Futon bed with roll top slipper bath and a separate walk-in shower room and dual basins. In each room the following items are included – Tea and Coffee making facilities/ Still and Sparkling water/ Mini Bar/ Cd Player and Radio and iPod docking station/ Desk/ Small outside terrace/ Water proof jackets/ Umbrella/ Bath robes/ Hot water bottle/ Toiletries/ Wifi as well as access to a Digital Library containing Top International Magazines and Newspapers through your smartphone or tablet. 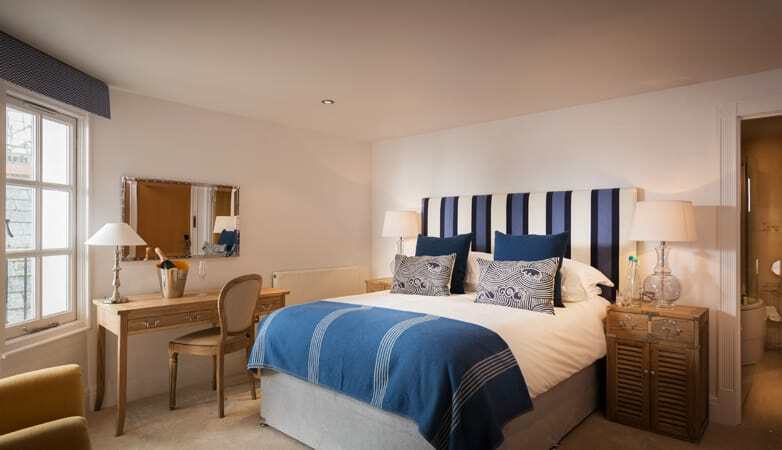 Located at the back of the hotel at the water front enjoying great Estuary views. 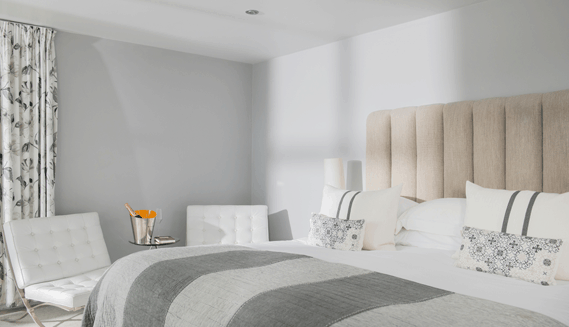 These rooms have super king-size beds which have a twin facility. 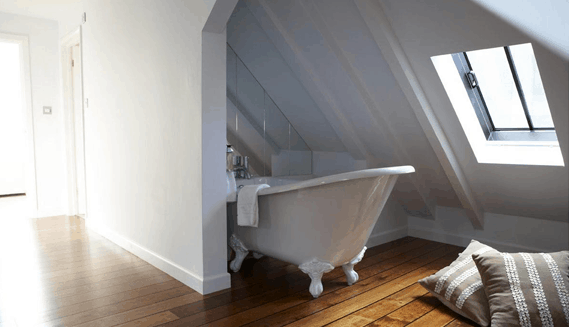 Roll top bath with separate walk-in shower. In each room the following items are included – Tea and Coffee making facilities/ Still and Sparkling water/ Water proof jackets/ Umbrella/ Bath robes/ Hot water bottle and Toiletries/ Wifi as well as access to a Digital Library containing Top International Magazines and Newspapers through your smartphone or tablet. 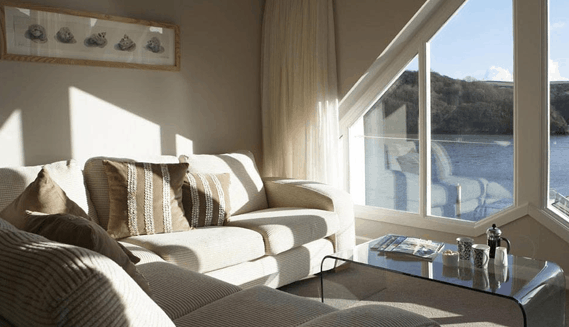 The Superior rooms run down the sides of the hotel enjoying partial Estuary views with a small balcony. They have Queen size beds and baths with showers. 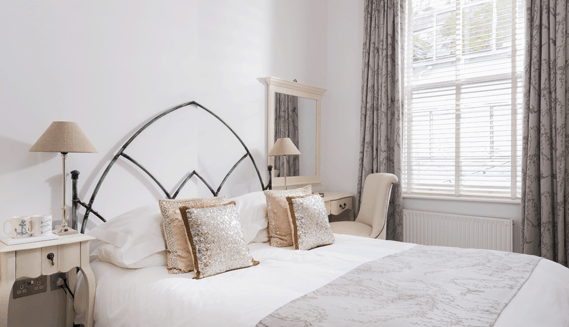 In each room the following items are included – Tea and Coffee making facilities/ Still and Sparkling water/ Water proof jackets/ Umbrella/ Bath robes/ Hot water bottle/ Toiletries/ Wifi as well as access to a Digital Library containing Top International Magazines and Newspapers through your smartphone or tablet. 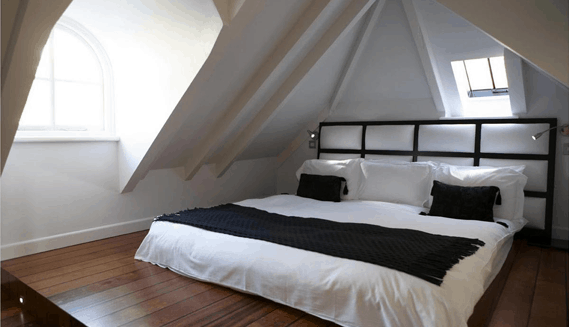 The Classic rooms are street facing double rooms with bath and shower. In each room the following items are included – Tea and Coffee making facilities/ Still and Sparkling water/ Water proof jackets/ Umbrella/ Bath robes/ Hot water bottle and Toiletries/ Wifi as well as access to a Digital Library containing Top International Magazines and Newspapers through your smartphone or tablet.